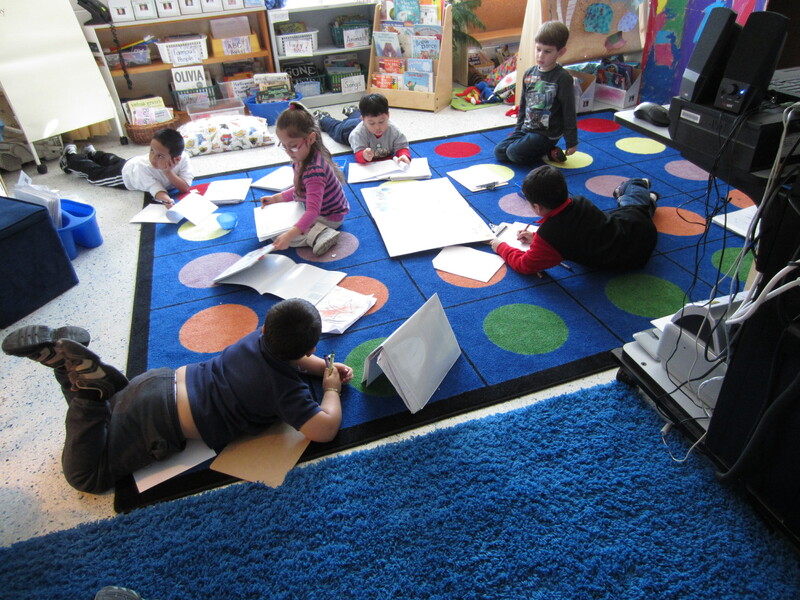 We write every day in our kindergarten classroom. I love it and the kids love it. Most days we start our writer’s workshop with a read aloud and lots of talk about author’s craft, the illustrations, what kind of book it is, etc. I always tell the kids, “maybe you could try (whatever we noticed and talked about), just like this author did”. 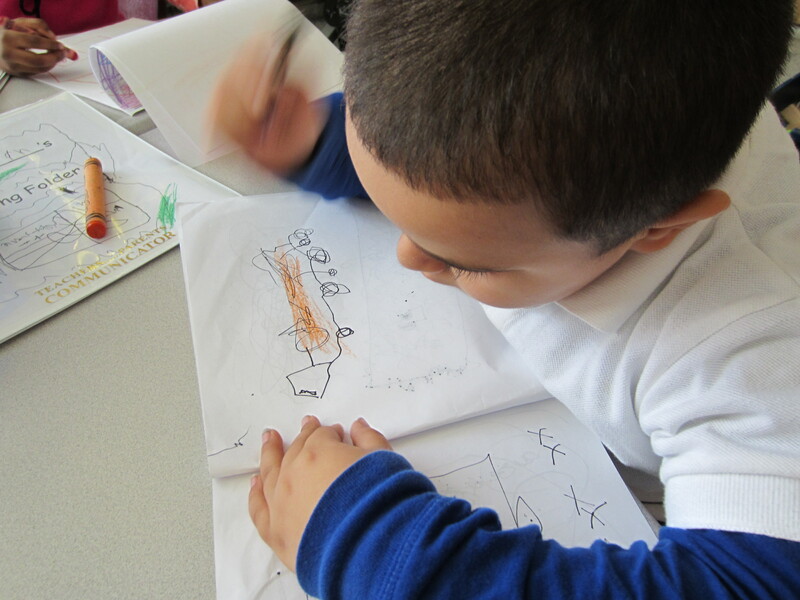 I want them to see themselves as authors and to envision themselves doing the wonderful things we notice that Mo Willems, Eric Carle, Jan Thomas or whatever author we are currently reading, is doing. 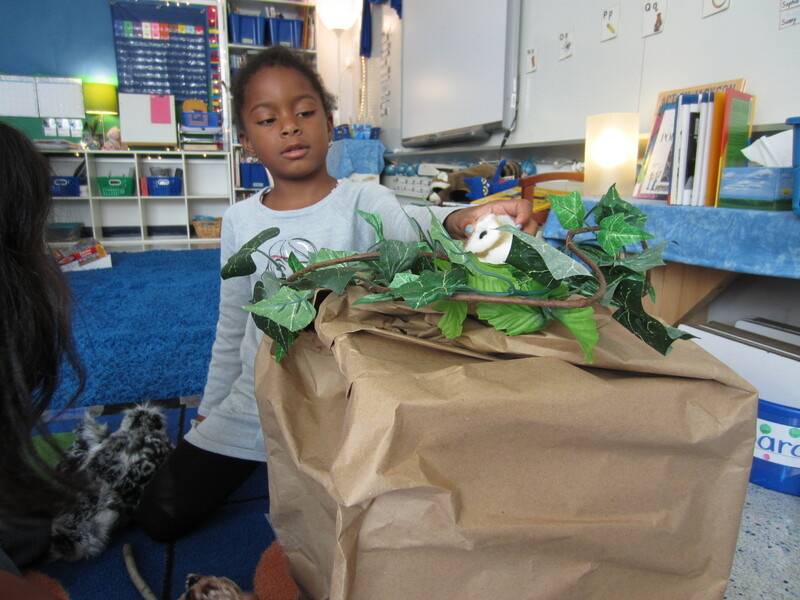 This past week we read and LOVED John Himmelman’s Chickens to the Rescue. If you haven’t read it yet, it’s a week in the life of the Farmer Greenstalk and his family. They have problems like the farmer’s watch falling down the well and a duck taking the farmer’s truck, plus several more. Every time, it’s the chickens that come to the rescue. The repetitive pattern and the hilarious illustrations had my kids wanting to hear it again and again. What was really great was how several kids chose to “stand on the shoulders” (as Katie Wood Ray says) of John Himmelman, and write their own ________to the Rescue! books. We had Jayden to the Rescue, a story of bad guys doing things like stealing purses (not sure where that one came from!) and Jayden, a superhero, coming to the rescue. And Pigeon to the Rescue, the story of our favorite pigeon (from Mo Willems’ books) saving the day in our classroom when crayons spill, the sandbox dumps over and the SMARTboard breaks. I loved how my young writers got the gist of Himmelman’s book and carried it over into their own writing. They weren’t copying his book, they were creating their own work – standing on his shoulders. It was amazing! What mentor texts are you using in your writer’s workshop? How do your writers stand on the shoulders of their favorite authors?